With Christmas over and 2013 now in full swing, we are proud to announce that we have won another competitive venue advertising campaign for a major brand within the London venue sector. Design Inc has been appointed by the Royal Opera House in Covent Garden and we have started work to develop our winning concepts for an integrated venue advertising campaign for daytime corporate events and meetings. Our selection for the short-list for this key campaign (actually the first time the venue has advertised its daytime venue spaces), came about as a direct result of our Meetings Industry Marketing Awards (MIMA) wins in 2011 and 2112 for our venue advertising and marketing campaigns for one of our other venue clients, One Great George Street. A nutcracker of a Christmas present! 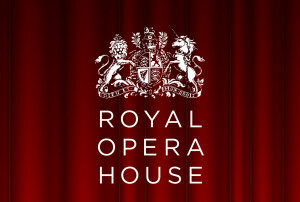 The Royal Opera House is well known for the creativity of its opera and ballet productions, this is also reflected in the creativity of its advertising for those performances. With this front of mind, our venue advertising campaign is based on a striking yet simple creative metaphor. Watch this space as the venue advertising campaign run will begin in January 2013.